Digital UK's Director of Communications Jon Steel has given a cautious welcome to developments that have secured frequencies for terrestrial TV services among concerns of further threats to the universal availability of free-to-air public service TV. At last month's WRC 15 conference in Geneva, delegates from most countries agreed that terrestrial TV services such as Freeview in the UK will continue to play a vital role for many years to come and need reasonable certainty over access to spectrum. The conference not only agreed to reserve airwaves for TV but also to park further discussion on this topic until the next-but-one conference in 2023. However, there are continued concerns over the future of openly available TV services that don't rely on expensive equipment or mobile or broadband contracts and data allowances controlled by companies who offer rival TV services and over the cost of upgrading infrastructure in the future. "Some policy makers continue to wish their way towards a world in which everything we watch is delivered over broadband or mobile networks, even though no one can explain quite how or when this can be achieved in the foreseeable future. Other ideas floating in the ether include trying to find ways for TV and mobile signals to share the same spectrum and even using LTE networks to deliver TV – wonderful in theory but nobody has quite addressed the risk of clashing signals and serious interference and the massive cost of transition to the new devices and network infrastructure required. This even has some technophiles looking uncomfortable when they think through the practicalities." Yes, it's been around for a while but the truth is, it's never stopped evolving. Today, it's a vital plank of our digital infrastructure built on the billion pound investment of digital switchover, completed just three years ago. It's the only network which achieves universal UK coverage and delivers more video content to more people than any other service while also adapting to embrace broadband delivery as a complement broadcast. Crucially, it's the bedrock of free-to-air, public service television and remains hugely popular with the people who matter most…the viewers. In the UK, terrestrial TV service Freeview is building on a hybrid future, which will see all of the main channels broadcast over-the-air, increasingly in HD, but combined with supplementary catch-up and on-demand services, plus niche services delivered via the internet on the new Freeview Play platform. At the end of the decade, there will be a number of major frequency changes as the platform gears up to embrace the newer DVB-T2 broadcast standard used for HD and as a chunk of frequencies are handed over to mobile network operators. 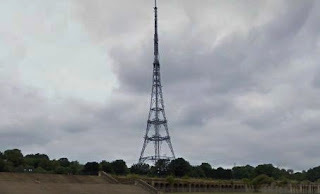 Toward the end of next year, Ofcom is expected to announce further details of how the frequency changeover will be organised. Meanwhile, the whole industry is considering the future of linear TV, with new surveys and research appearing almost on a weekly basis, often contradictory and generally favouring either the online services or traditional broadcasters backing the research.